In my last on Black grapes we saw a bit on Cabernet Sauvignon and Merlot. In this we look at the princess of reds; the Pinot Noir along with Syrah and Grenache. Pinot Noir is one of the most sensitive grapes. If you are thinking of an Indian Pinot, it will be very rare, if at all; can come from up north in Kashmir. For all other varietals in bulk; one could rely on southern France or southeastern Australia but for Pinot you have to turn to Romania and nowadays Chile is adapting well to the grape too. The reason is that it ripens very early and so in warmer climates can produce only flabby jammy wines. The good part is that, it interacts with the terroir and resembles it. The greatest Pinot Noir comes from Burgundy in France. 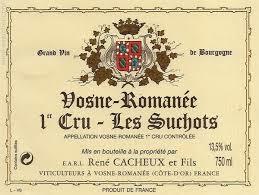 The famous regions are Gevrey-Chambertin, Vougeot, Vosne-Romanée and Corton above Aloxe-Corton. The most looked up to being the Vosne-Romanée, with the world-famous likes of Romanéee-Conti, La Tache and, sometimes just as good, Richebourg. The first two in particular are produced in such small quantity that their prices have always been stratospheric. Read this article here to understand how expensive can these wines get. 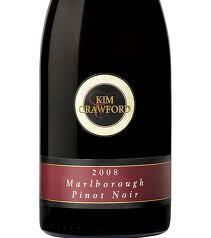 Pinot tends to be fruity and perfumed when young, with supple tannins. With age it acquires a vegetal note and gains complexity. Because of the overall lack in body these wines are meant for early consumption, up to 10 yrs in case of a premium cru.Pinot Noir, also known as Spätburgunder in Germany is the most highly regarded red wine. Very few regions can claim to have a real proven affinity with the grape and Germany definitely is the front-runner after France. Oregon, north of California makes a fruity style of Pinot. Fog-cooled pockets of California such as the Russian River Valley and Carneros have also made an impact with their wines.Most of Australia is too hot for Pinot Noir, but for coolers regions of Tasmania, Yarra valley and the Mornington Peninsula it does well. Marlborough, New Zealand as they say is the new world’s answer to Burgundy. Whether or not, they for sure make fruity medium bodied wines with subtle tannins meant for early consumption. 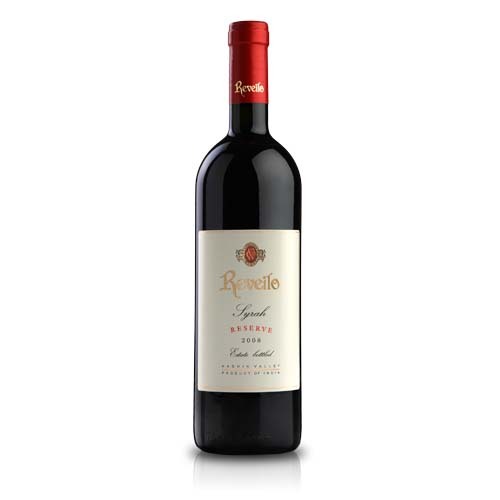 The brand new world of wines India is doing some fantastic wines from Syrah or Shiraz, my favourites being the rich reserve Shiraz from Reveilo and an easy drinking one from Charosa. If you are in Bangalore, try the easy drinking one from SDU wines called Devaa. Syrah in France or Shiraz elsewhere is known for its predominant black pepper aromas. Best known for Rhone valley (France) biggies like Cote Rotie, Hermitage etc, and this grape makes big bold and age able wines. Usually it is blended with Viognier for some perfume.In southern Rhône, Syrah lays a supporting role of adding structure and firmness to the wine dominated by the Grenache. 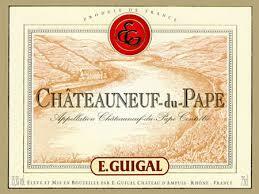 The Chateau Neuf Du Pape appellation allows the use of 13 different grape varieties dominated by Grenache and it is again Grenache dominated blends for other regions like Gigondas and the Vacqueyras. It also find place in the appellations (regions) of Costières de Nimes, Coteaux du Languedoc, Faugères, St Chinian, Minervois, Corbières and Fitou located in southern France. Australian Shiraz is known by its dark chocolate notes emanating due to the hotter vineyards. Barossa Valley Shiraz can be so rich in fact that some producers deliberately add tannin to give the wines backbone. Australia’s most famous wine, Penfolds Grange, is put together from top lots of Shiraz grown in various locations from South Australia. It can last for decades and commands prices easily as high as Château Lafite. Best known for its wines from Southern Rhone and Priorat in Spain, Garnacha its name in Spain produces wines, which are fruity, spicy and high in alcohol but lack body and hence usually blended. Provided yields are restricted and if vines are relatively mature, Garnacha can produce rich, spicy reds in northern Spain. In Navarra Garnacha has traditionally been used to produce rosados and it is the relatively thin skins of Grenache/Garnacha that help roses from Provence too. Grenache is planted all over southern France. It is one of the most important grapes of the Languedoc where it is blended with other black grapes like Carignan Syrah, Mourvèdre and Cinsault to make roses or reds. . This is the classic blend for the southern Rhone’s best red wines: Châteauneuf-du-Pape, Gigondas, Vacqueyras, Lirac, and Tavel . The Syrah adds structure and longevity.In Australia too Grenache earns a place in the popular “GSM” blend. Grenache, Syrah and Mourvedre( Mataro) the latter two being more known for varietal wines.